No designer makes cashmere feel more luxurious than Madeleine Thompson. 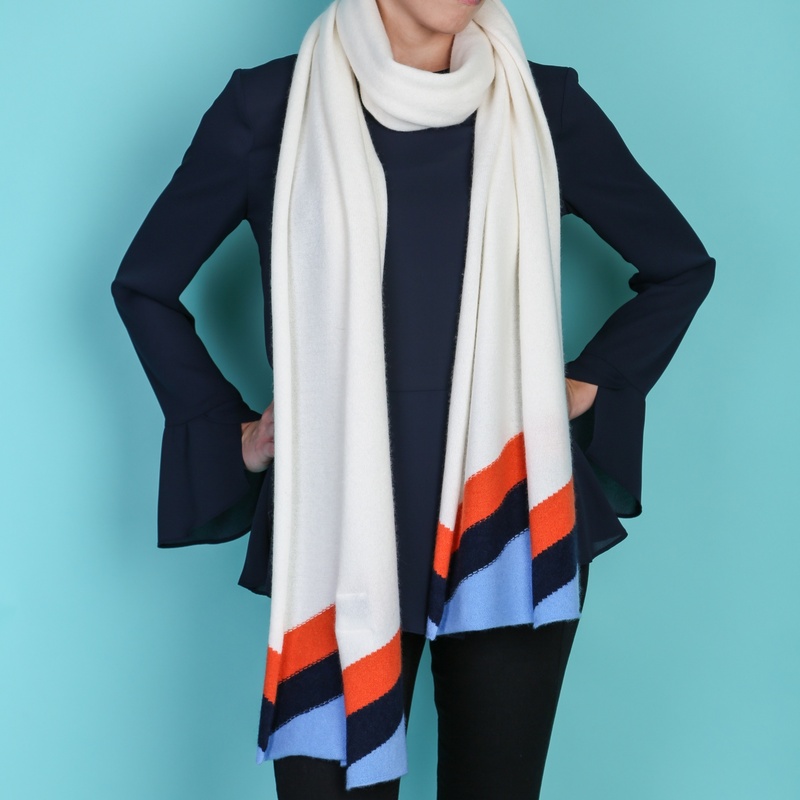 This cream cashmere scarf with orange and blue retro chevron detailing is exclusive to cleverlywrapped as we have partnered with the designer to create three bespoke designs. 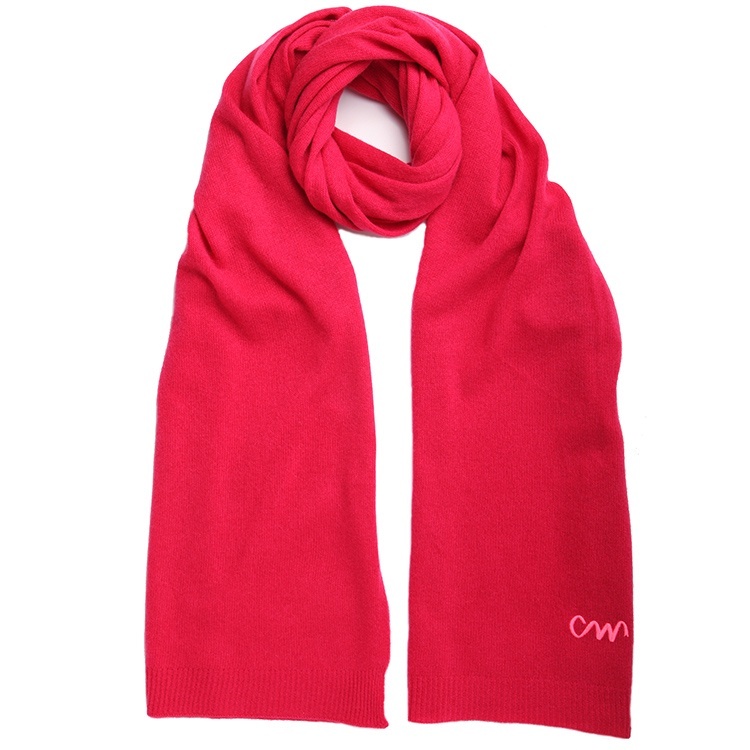 The quality of the cashmere is second to none – luxurious, sumptuously soft and super cosy. 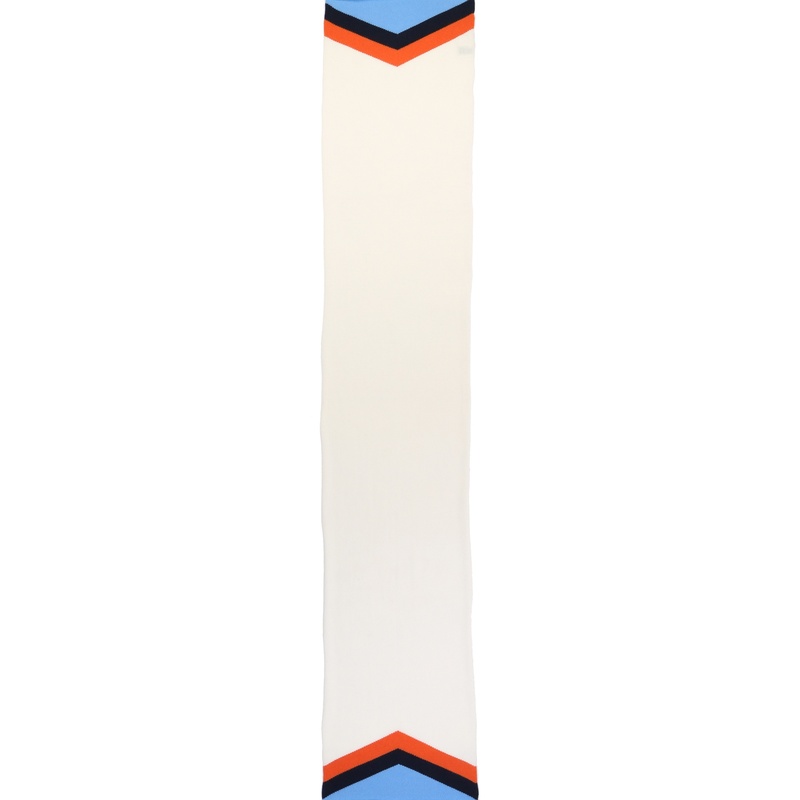 The cream cashmere scarf will work brilliantly with cashmere jumpers and other off duty weekend wear looks with the warm cream cashmere beautifully complimented by the splash of colour at the tips to give it a unique feel. A perfect all year round accessory. 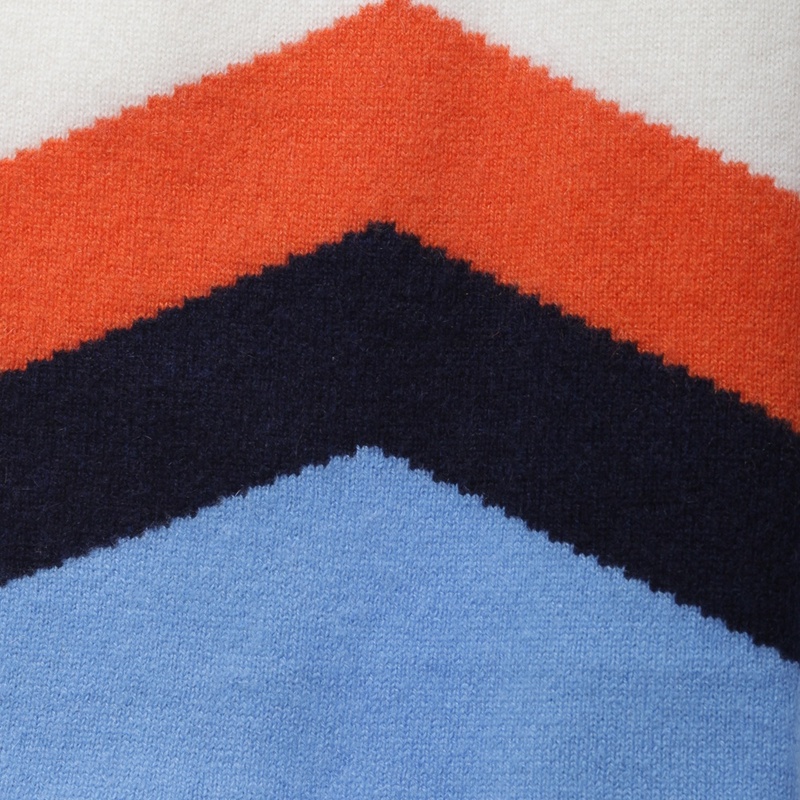 No designer makes cashmere feel more luxurious than Madeleine Thompson. 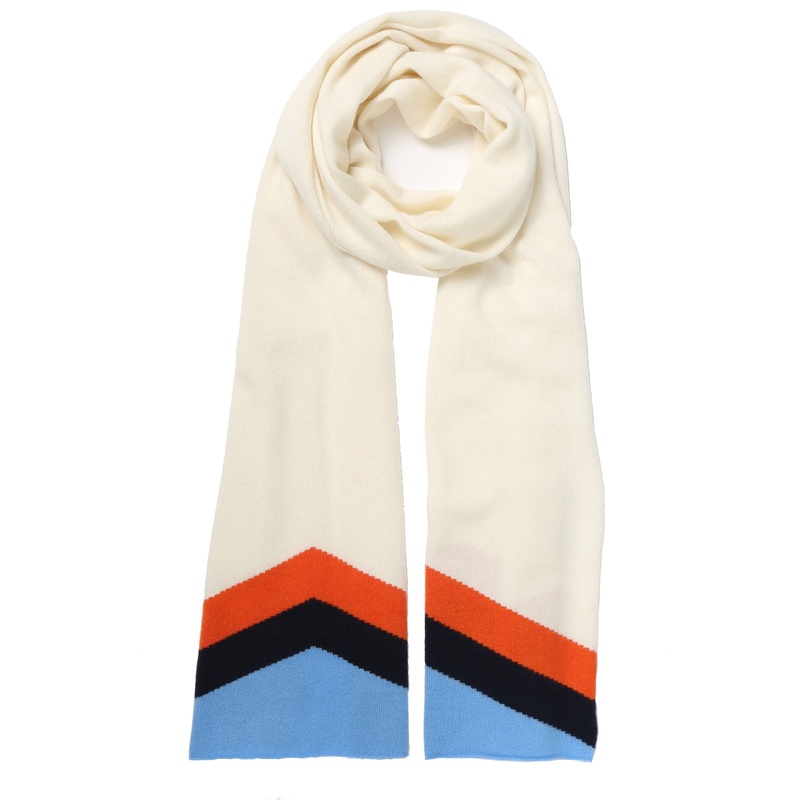 This cream cashmere scarf with orange and blue retro chevron detailing is exclusive to cleverlywrapped as we have partnered with the designer to create three exclusive designs. 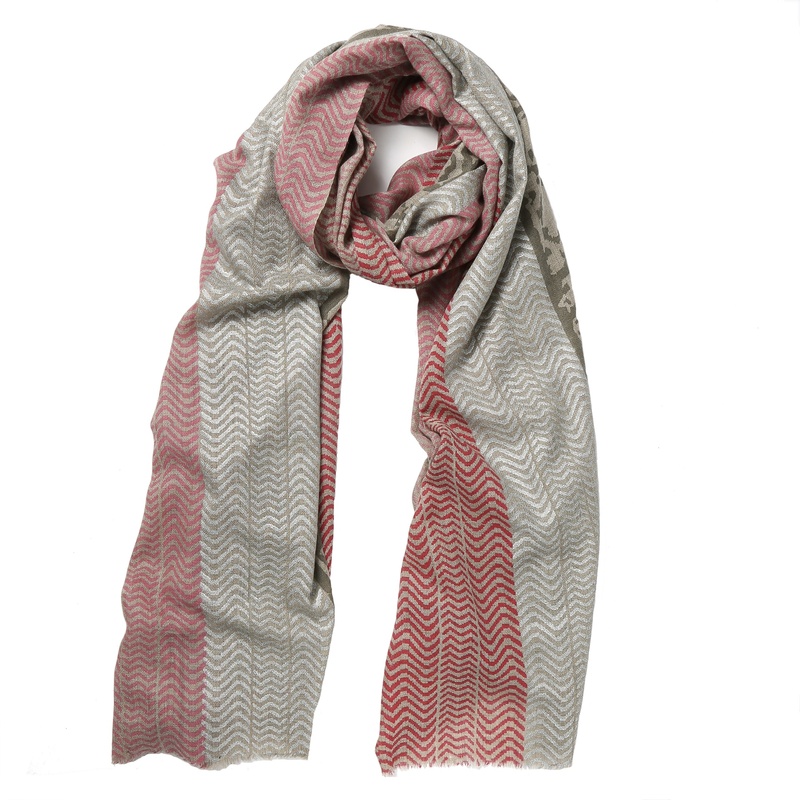 The quality of the cashmere is second to none – luxurious, sumptuously soft and super cosy. 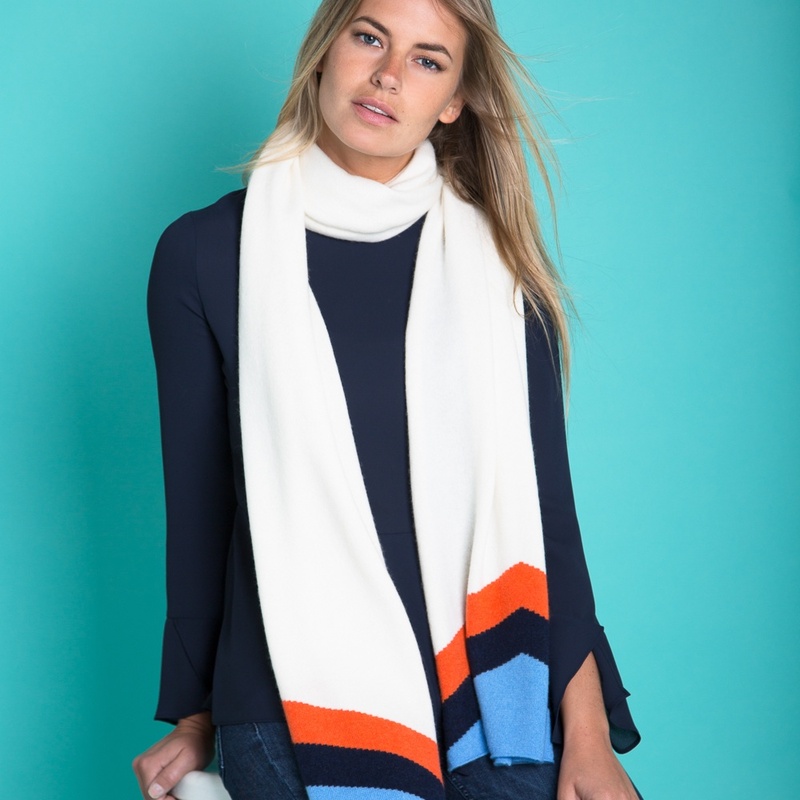 The cream cashmere scarf will work brilliantly with cashmere jumpers and other off duty weekend wear looks with the warm cream cashmere beautifully complimented by the splash of colour at the tips to give it a unique feel. 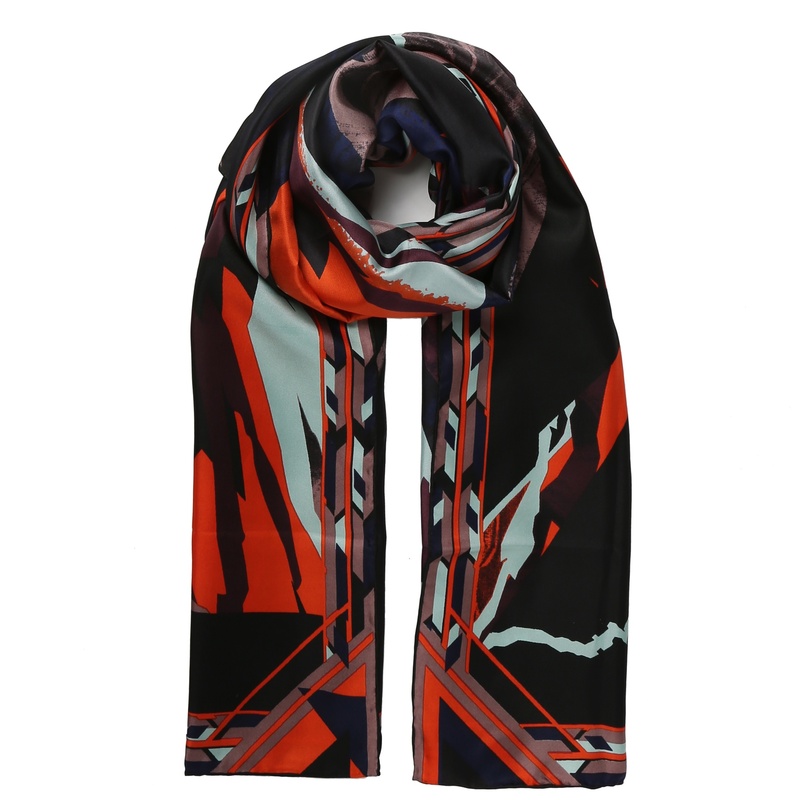 A perfect all year round accessory. Madeleine Thompson is a British knitwear designer based in Hong Kong. Her eponymous label began with a slouchy beanie that became a cult piece, and has since grown to include sumptuous cashmere ponchos and wraps in universally flattering and classic shades. “I want the women who wear my clothes to feel elegant and relaxed,” says British knitwear designer Madeleine Thompson.